My favorite green roof plants are Sedum, for good reason; Sedum has been favored for planting on green roofs for its ability to colonize, survive and thrive in difficult conditions. 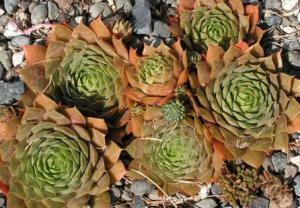 Sedum varieties are among the xerophytes often chosen for growing on green roofs. 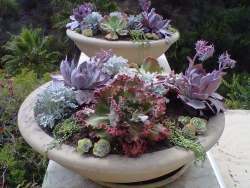 They love drought, and have far reaching fibrous roots that scramble around rocks and through thin lean soil with ease. Not having a taproot, a common drought battling strategy in other plants, is in this case an advantage. The thin layer of soil most often seen on green roofs holds very little moisture, and dries out quickly. 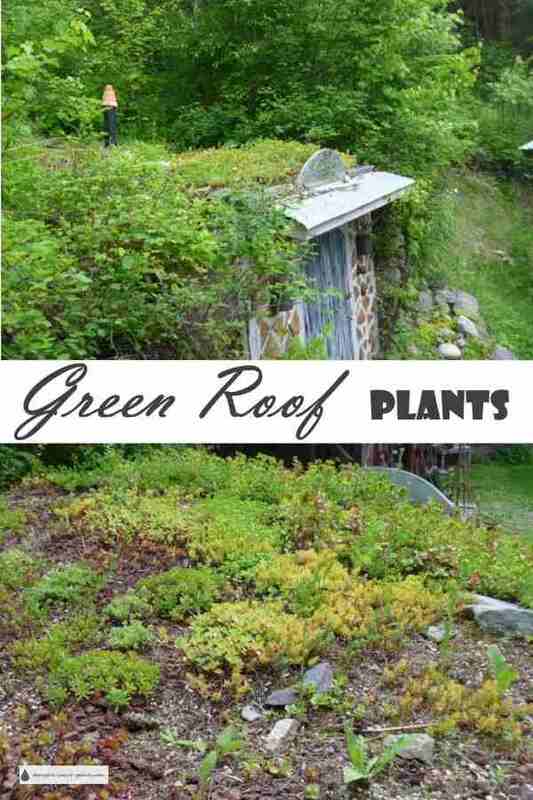 The very fact that green roofs are at the top of a building where the conditions are the most hostile is what gives Sedum, Sempervivum and other low water plants the edge. Some of the most gorgeous of the myriad Sempervivum are most striking after a long season of drought - the colors and textures of these amazing plants never fail to keep me entranced. They have water retaining tissues, and the layer of soil becomes completely filled with the fibrous roots, holding it in place against drought, wind, torrential rain fall, and anything else nature can throw at it. Whatever the kind of plants that do the best, they will be drought tolerant, have fleshy parts (either roots or leaves) and be resilient. In the future, as green roof technology becomes more mainstream there will be many more options of suitable plants to grow on green roofs. Some plants being trialed for use on green roofs are bulbs such as Allium, Tulipa, many wildflowers and native plants, Festuca (fescues) and other grasses, small shrublets and herbaceous perennial xeric plants. The Japanese planted Iris tectorum on the roofs of their houses long before there were green roofs. 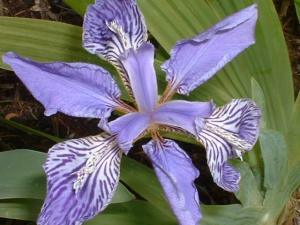 Iris tectorum, the Japanese roof iris - guess why it's called that? Other suitable plant groups to choose from are rockery and alpine plants, as they already have the ability to survive very inhospitable conditions. In fact, they prefer them! Even moss and ferns have found their proponents, especially in shady conditions. The depth of the soil has up to now been the limiting factor due to the weight, as well as the need for more irrigation for establishment of some species. In some cases, the lack of mycorrhizae has been a disadvantage for some plants, but now is becoming a more common addition to the soil. This will increase the number of available plants that can be grown on green roofs. Bio-diversity makes for better wildlife habitat as each insect or creature finds food and shelter suited to it, and a complex ecology will evolve. It also ensures that there will always be some plants that survive and adapt to the conditions, rather than having a monoculture of only one type of plant, which could become susceptible to a disease or have a specific cultural preference. Finally, beauty! In a savanna or meadow different plants blooming and ripening at varying times will create an ever changing display of colour and texture. Being such a new technology, there are bound to be bumps in the road, and as more professionals gain more knowledge it will become easier to find the information needed to put in place a successful green roof, with gorgeous year round colour, wildlife habitat and erosion control.